Despite what you may have read, the Amazon Echo was never a do-anything smart home device. Sure it could tell you about the weather and maybe control your lights, but it lacked the under-the-hood hub capabilities that could make all your connected devices work together. The new Amazon Echo Plus offers just that. I’m not sure it’s worth it, but that absolutely depends on you. The pitch is very straightforward. The Amazon Echo Plus is a classic Amazon Echo, plus the capability to serve as a hub for select smart home devices. The device itself looks just like the original Echo, whereas the “all-new Echo” is smaller and, frankly, more handsome. But! The Echo Plus can control entire categories of devices like Philips Hue lighting, Samsung SmartThings devices, and whatever it is Kwikset makes. (Kwikset makes smart locks and gets top billing as a compatible Echo Plus device.) This means that in select circumstances, you won’t need a separate hub to help your connected gadgets talk to each other. It also comes in a slick new color: silver. As someone who has been tinkering with smart home gadgets for years, I get it. Making various devices throughout your house talk to each other can often feel like shoving square pegs into round holes. It seems like it could work if you try hard enough, but honestly, it’s not gonna work. Without going to deep into the technical details, almost all devices in the internet of things depend on standards like Z-Wave or Zigbee. However, in order for these devices to communicate with each other properly, they need a separate piece of hardware: a hub. Think of it as a system of highways with a roundabout in the middle that connects each gadget to everything else. The original Echo stopped short of serving this purpose. If you owned and loved your Philips Hue lighting system, for instance, you could use an Echo to control it, but you’d still need to keep the Hue hub hardwired to your home’s broadband for the lights to work. The new Echo Plus removes the proprietary hub from the equation, and that’s a little bit terrific. Smart home nerds might have several hubs operating at once to power their Hue bulbs and SmartThings switches and whatever else. They might have a classic Echo to provide voice control to the daisy-chained ecosystem they’ve already built. With any luck, they’ll have enough power outlets and ethernet cables to keep the various devices working together. But with Amazon’s new gadget, all they need is the Echo Plus. These geeks will love the Echo Plus for this reason. They’ll especially appreciate the super slick user experience of connecting a whole host of gadgets to the Echo Plus. With Alexa, it really is delightfully easy and simple. A more pedestrian consumer—someone with a relatively simple smart home setup—might not want to bother paying the extra $50 for an Echo with a built-in hub. Let’s get down to brass tacks. You can buy a first-generation Amazon Echo for $90 right now. The Echo Plus with its smart home hub capabilities costs $150. The speakers in the newer device are slightly better, though I didn’t notice much in testing. The smaller, second-generation Echo costs $100. From my point of view, it looks like you’re going to spend at least $50 just to get the home hub capability instead of an otherwise awesome Echo. Don’t let me talk you out of the Echo Plus, but realize that the added benefit is suited to a very specific sort of consumer. If you’re a smart home geek like me, you’ll like the Echo Plus. The centralized, voice-controlled hub is cool and cures a lot of headaches. 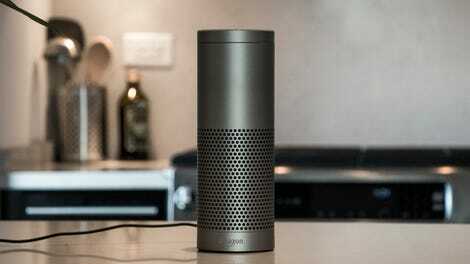 The device doesn’t work with every connected device, but Amazon is historically good about on-boarding more and more third parties to work within the Echo ecosystem. 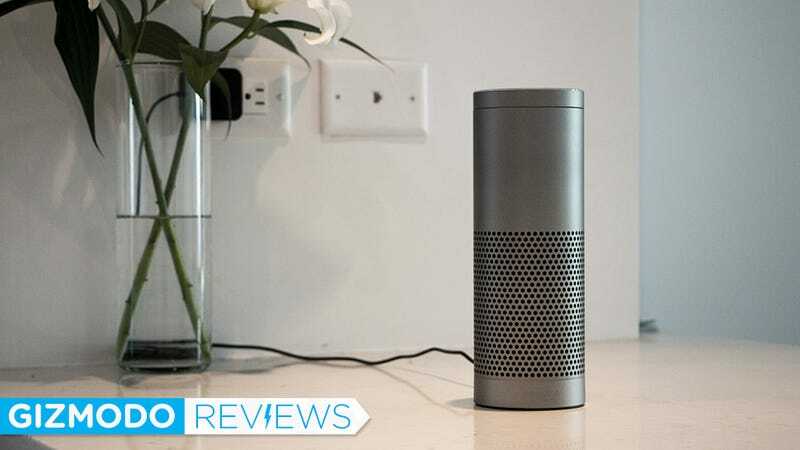 If you’re a wannabe smart home geek, you should seriously consider the Echo Plus. It’s sort of like a starter house. You cough up the money up front, but then you can grow into it. Why pay for more hubs down the line when you can just buy this universal thing right now? If you’re the one who likes Echo because it tells you sports scores and plays your Spotify playlists, just buy the regular Echo. You can still use it for smart home stuff, but if that’s not already on your radar, there’s no need to pay a premium for a feature you’re probably not going to use. Furthermore, Amazon is still experimenting with this home hub functionality. There’s a good chance a cheaper version of it will come along in the future. All that said, the Echo Plus is great gadget, as was OG Echo before it. The new flagship does more, and that’s exciting. Amazon led the way in this category well before actual gadget companies (read: Apple) were even paying attention to the idea of smart speakers or smart homes. Today, that means that Alexa and the Echo devices that make her work best will be just slightly more versatile than their competitors for a while.